Listening to music while doing sports gives you optimal enjoyment and good health. S6 is a high-performance Bluetooth Headphone, which is specially designed for music lovers. S6 is characterized by Advanced Bluetooth 4.1 technology, Built-in high-grade microphone & speaker, hands-free function and lightweight design. Bluetooth Connection: S6 headset uses renowned Bluetooth 4.1 chip to ensure super-fast data transmission and stable performance. Super Sound Quality: Uses high-performance speaker, it offers you high-quality audio, letting you greatly enjoy sound music effect. Three Buttons In-line Control: Easy to operate playing / pausing, answering / ending calls, volume + / -, previous / next track. 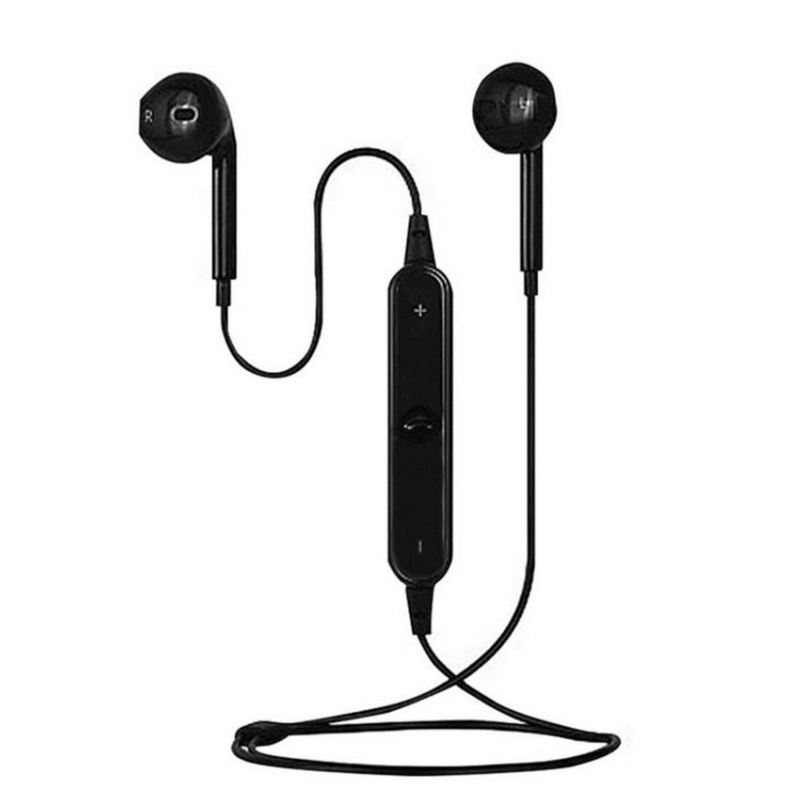 Built-in Microphone: Supports hands-free with high-grade microphone, thoroughly setting free your hands from answering the call during exercise. Comfortable Wearing: Ergonomics design meets the shape of different ears, stable and no harm to the ear. Lightweight and portable, perfect for sports.